Beitou（北投）is northernmost district of Taipei City and is the ideal escape from the hustle and bustle of Taipei’s crowded business districts. Recognized for its hot springs, historical sites, and lush green environment, Beitou was named one of the top 10 small tourist towns by the Taiwanese Tourism Bureau in 2012. 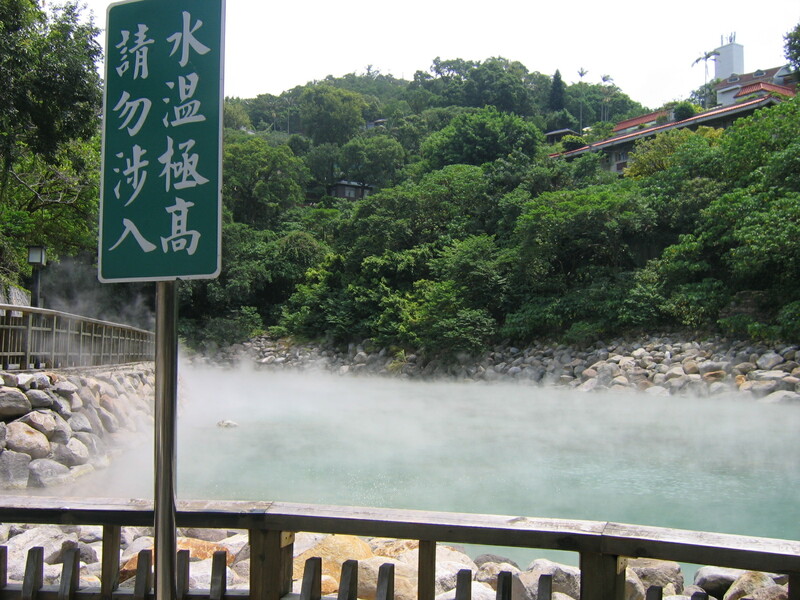 The name Beitou originates from the Ketagalan aborigine word for the area, Kipatauw (“home of witches”), as many of the local rivers and ponds emit an eerie steam due to geothermal warming of the hot springs. During the Japanese colonial era (1895-1945), the area was developed into a hot springs resort. In the early days, Beitou was a renowned red light district where men would go to soak in the hot springs and later feast on delicious cuisine while being entertained by beautiful young female performers. The Taiwanese government began to clean up the area in the late 1980s, and today it is one Taiwan’s major tourist attractions with numerous well preserved architectural treasures dating back over 100 years. 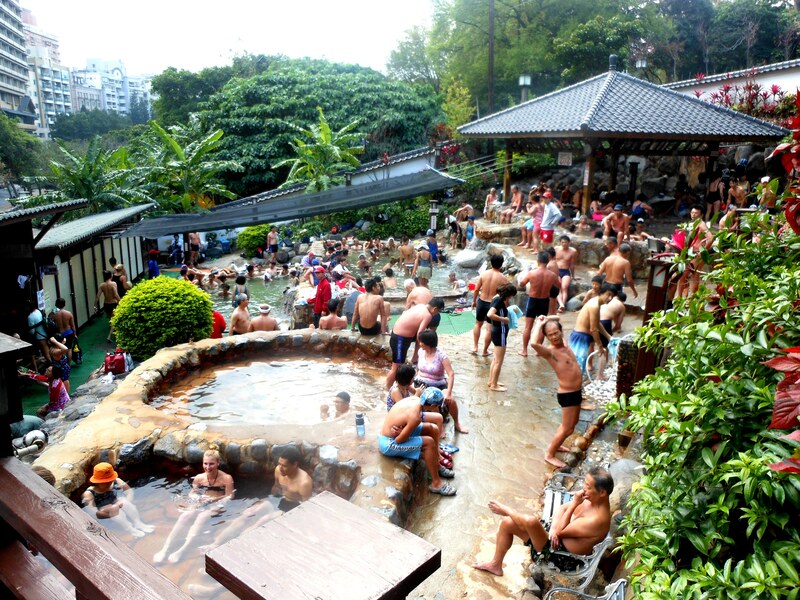 Beitou is one of the largest concentrations of hot springs and spas in the world. Once a small park where locals used to relax in the hot springs, the Beitou Valley has evolved today to include over thirty resorts; A 20-minute train ride north of Taipei takes you to Beitou. The resorts and spas are regarded by many locals and international tourists as among the most relaxing and rejuvenating places in the country. The spas consist of different degree pools (from cool to very hot) and minerals. However, residents of this district note that sulfuric fumes from the hot springs do ruin their electric appliances in the long term. You can also go to the public hot spring like in this photo and it's one of my favorite place in Taipei. what a information! existing here at this blog, thanks admin of this web page. Hi there, after reading this awesome paragraph i am too cheerful to share my know-how here with mates. Furthermore, The contents are masterpiece. you have done a wonderful process on this topic!